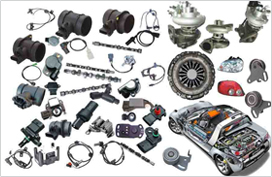 Are you searching for Lexus, Hiace or Hilux spare parts in Sydney? At Auto Ice Parts we have a massive inventory of parts and reconditioned engines and we are sure to have what you are looking for at our Yennora yard. At Auto Ice Parts, we are well-known for having one of the largest stocks of Hilux, Lexus and Hiace spare parts in Sydney, and with new cars coming in every day, our inventory just keeps getting bigger and bigger. We know that finding good Hilux, Lexus or Hiace wreckers in Sydney with a large stock of parts can be a difficult job, which is why we go out of our way to have as many parts on-site as possible. Even if we don’t have what you need on our shelves, with so many cars coming through our gates every day, we can usually source your parts very quickly. If you want to buy recycled auto parts that have been fully checked and are in full working order, you can’t go wrong with Ice Auto Parts - the best Hiace, Lexus and Hilux car wreckers in Sydney. To check if we have the HIACE, HILUX or LEXUS spares parts in Sydney you need or to price a reconditioned engine, call Auto Ice Parts (Leading car wreckers/auto parts shops sydney) on 02-9892 1010, 9892 1110 or email mail@aaautoiceparts.com or complete an online enquiry form.